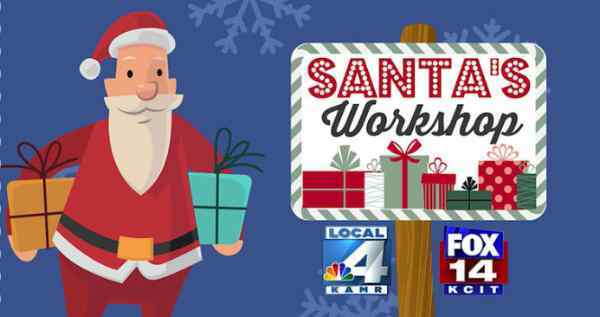 Myhighplains has brought you Myhighplains Santa’s Workshop Sweepstakes Contest in which you could gift cards, Pearl Necklace, Battery Charger and other exciting prizes. Total 6 winners will be chosen and get 1 of the 6 giveaway prizes. Eligibility: The Sweepstakes is open to legal U.S. residents of KAMR/KCIT/KCPN viewing area and who are at least 18 years of age at the time of entry. Sweepstakes Period: This Promotion begins on December 1, 2018 at 12:00pm CST and ending on December 21, 2018 at 12:00pm CST. DC battery charger Transmitter batteries Optional AC adapter for the Car battery charger. Winner #2: One (1) $200.00 Gift Card redeemable at Accent Embroidery. Winner #3: One (1) $200.00 Gift Card redeemable at Beef O Brady’s. Winner #4: One (1) 10-11mm Freshwater Pearl Necklace 18 inches long w/sterling silver clasp. Winner #6: One (1) Bettinardi Golf Putter courtesy of Golf Headquarters.